A new book recounts the battle between California wilderness advocates and a local agriculture community. The phrase “Save Our Drakes Bay Oyster Farm” was all over West Marin County, California in 2013. Hundreds of hand-painted signs were posted in shop and residential windows, along roads, on bulletin boards, and in and around Point Reyes, a rural coastal enclave 30 miles north of San Francisco. Spearheaded by West Marin’s Alliance for Local Sustainable Agriculture, the “Save Our Oyster Farm” campaign gave voice to neighbors and local organizations who wanted the family-owned farm in Drake’s Estero to remain open, at its historic location inside the boundaries of the Point Reyes National Seashore. Back then, the farm accounted for nearly 40 percent of California’s oyster production, and operated the last oyster cannery in the state. Notwithstanding legal proceedings litigated by a Koch Brothers-backed attorney, and support from Michael Pollan, Alice Waters, and Senator Dianne Feinstein, the National Park Service (NPS) did not extend the farm’s 40-year lease, and Drakes Bay Oyster Company closed in late 2014. 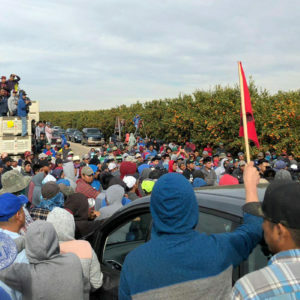 Journalist Summer Brennan stumbled onto the Drakes Bay Oyster Company fracas after being hired as a staff writer for the Point Reyes Light, a nearby local paper, in 2012. In short order, Brennan, a Point Reyes native who now lives in New York, was embroiled in the controversy, working late nights to discern fact from fiction, and clumsy science from sound policy. “I found myself wedged between the National Park Service, wilderness advocates, and their defenders on one hand, and the Drakes Bay Oyster Company, the local agriculture, community and their supporters on the other . . .” she writes in her new book The Oyster War: The True Story of a Small Farm, Big Politics, and the Future of Wilderness in America. Written in a style reminiscent of Rebecca Solnit—the San Francisco environmental writer with a keen ability for melding the poetic and the political—The Oyster War make for a fast-paced and dramatic read about a messy situation with no clear-cut “bad guy.” Geographically, the story’s action takes place on a tiny plot of land—Drakes Estero—in a semi-isolated, rural community in California. Still, it manages to raise questions of interest to anyone concerned with the erosion of wilderness in the U.S. (especially in favor of private business) and whether the natural world should be preserved despite the prospect of jobs and agricultural land. Additionally fascinating is how an imported farmed food (in this case, Japanese oysters, which were renamed “Pacific” oysters during WWII) became an integral component of the Bay Area foodshed, to the point of being mistaken for, and even defended as, a wild and sustainable food. The story began, in part, in early 1970, when Richard Nixon signed a bill approving funds for the National Park Service to purchase thousands of acres of land in Point Reyes—the future Point Reyes National Seashore—which included land managed by family-owned dairy and cattle ranches. 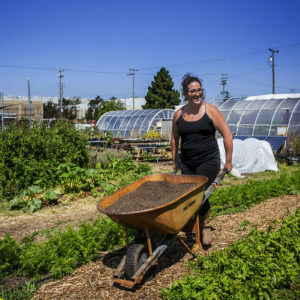 The legislation was the fruit of a landmark collaboration between environmental activists, Point Reyes community members, and agricultural interests—all united in the desire to protect Point Reyes from rampant commercial development. An oyster farm had also been established there in the 1930s; it was sold to Charlie and Makiko Johnson in 1957. In 1972, NPS purchased 71,028-acres of pristine wilderness directly north of San Francisco, on the stipulation that they would lease the land in the “pastoral zone” back to the families that had farmed it for generations. Johnson’s Oyster Company, as it was known at the time, was the only farm to receive a 40-year Reservation of Use and Occupancy, unlike the five to 10 year renewable leases given to the ranchers. As Brennan writers, the oyster farm’s fate wasn’t necessarily sealed until the passing of the Point Reyes Wilderness Act of 1976, which designated all bodies of water, and land within certain boundaries in Point Reyes National Seashore, as wilderness or “potential wilderness.” Johnson’s Oyster Farm fell within these boundaries. 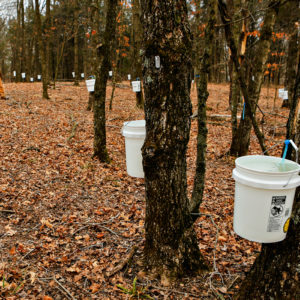 Brennan writes that the decision set the stage for a battle that pitted sustainable food advocates and local economy boosters against environmentalists and wilderness supporters. One side worried what the loss of one of the largest oyster culturing farms on the West Coast, along with the 30 livelihoods it supported, would mean for the local foodshed. Wilderness advocates argued that if Lunny were allowed to extend his lease, other commercial operations would use the precedent to encroach on the rest of the 2.5 percent of lands designated as wilderness in the U.S. Guided by a firm belief that oysters would be big business in San Francisco, Morgan imported small oysters from Washington State, branding them “Olympias,” and launching a farm operation in the San Francisco Bay. He later went on to import baby oysters, by train, from the East Coast in a further attempt to expand his oyster empire. One hundred years later, the Johnsons raised Pacific oysters in Drake’s Estero, where they thrived despite the estuary’s muddy, soft bottom. In all, The Oyster War is essential reading for anyone interested in a tumultuous chapter in the history of food systems and environmental activism in the U.S, stretching from Lunny’s 2005 refusal to accept the non-renewal of his lease, to the forced closure of the farm in 2014, a time when an honorable desire to protect wilderness ran headlong into local, sustainable aquaculture (although the verdict is still out on just how sustainable Drakes Bay Oyster farm really was). In an early chapter, Brennan confesses to originally siding with the oyster farm. But, she continues: “The story I have written here is not the story I thought I would find when I set out to write it.” In the end, after much research, her sympathy began to erode and Brennan ended up understanding the National Park Service’ decision to close the farm. Mainly, because Lunny knew his lease wouldn’t be renewed when he bought the farm. The National Park Service was clear about that—even if other aspects of their handling of the case were questionable. 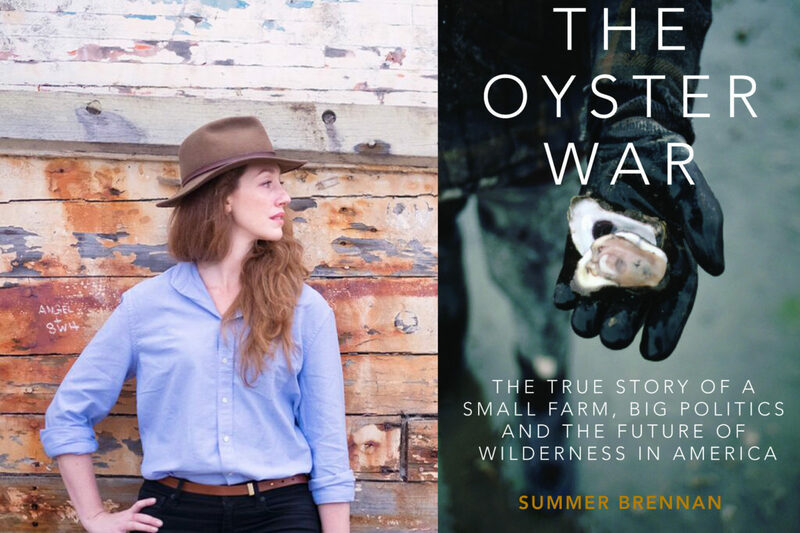 As a reader, I felt comfortable with Brennan’s conclusions, especially since the pages leading up to it are loaded with solid research, interviews, and deep dives into the historical and anthropological background of oysters. The fate of the oyster farm was most definitely a loss for local food lovers in the Bay Area (and the oyster workers who were employed there, some for decades), but the decision sets an important precedent. It marks a commitment to wilderness over private business—one that future generations will benefit from for many years to come. This book is viewed as seriously flawed unfortunately. The book "The Oyster War" by Summer Brennan is subtitled "The True Story..." If only it were. "Native American peoples consumed this oyster everywhere it was found, with consumption in San Francisco Bay so intense that enormous middens of oyster shells were piled up over thousands of years. One of the largest such mounds, the Emeryville Shellmound, near the mouth of Temescal Creek and the eastern end of the San Francisco – Oakland Bay Bridge, is now buried under the Bay Street shopping center." Lies, lies, and more lies. The federal government has destroyed a wonderful, "green", sustainable, family owned business, all dialed-in n the name of returning the area to its "natural" state. What a load of hogwash! Please download and listen to the interview (above) with biologist Dr. Corey Goodman as he explains the REAL reason for the demise of th Drakes Bay Oyster Farm. "The story began, in part, in early 1970, when Richard Nixon signed a bill approving funds for the National Park Service to purchase thousands of acres of land in Point Reyes—the future Point Reyes National Seashore..."
As the National Park Service affirms online, "Point Reyes National Seashore was established by President John F. Kennedy in 1962. In 1976, President Gerald Ford designated 33,373 acres as wilderness (including 8,000 acres of potential wilderness)." You're both right, by my reading; according to this oral history of the effort to create Point Reyes, "The Seashore was authorized by Congress in 1962 largely through the efforts of Marin County and other Bay Area conservationists, led in Washington by Congressman Clem Miller and Senator Clair Engle. In the face of rising land values, however, the $14 million appropriated for land acquisition (raised to $19 million in 1967) proved insufficient to purchase seashore lands. By 1969, key ranches within the designated boundaries of the seashore were to be sold for development, one of them alone planned for 4,500 homes." I agree that Mr. Lunny knew that the lease would expire when he bought out the Johnson operation. That he used Koch funded attorney is telling. The so called "environmentally friendly/ sustainable" oyster farm left behind 500 tons of oyster racks and plastic waste infected with D vex and other exotic invasives. While this abandonment of the Johnson Oyster Farm infrastructure was part of the settlement of the federal case, it is behavior more characteristic of a 19th century mining operation than a sustainable foodie aquaculture business.